This beautifully crafted home on 1.14 acres will not disappoint! **New area development to note - Easy access gas station/convenience store to be built a couple of miles down Dynamite road. ** Inside the home gorgeous wood-like tile guides you into the spacious great room with a floor to ceiling stone fireplace and a oversized window to overlook the breathtaking back patio. 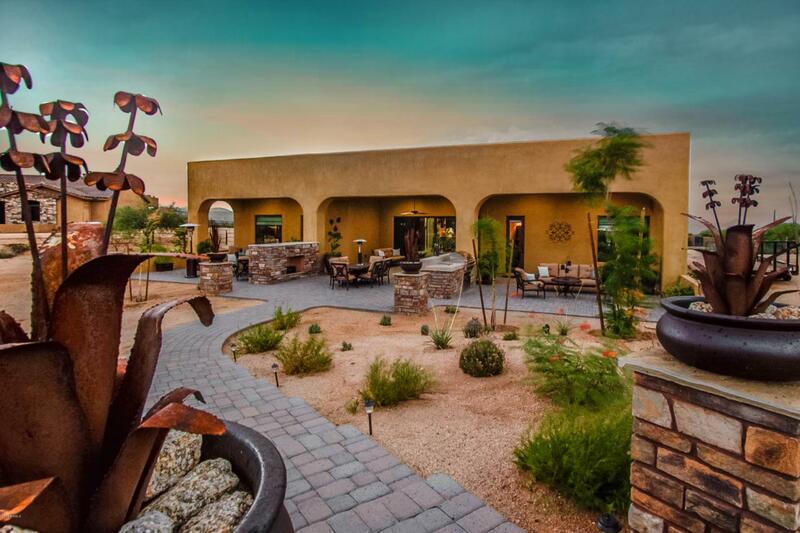 Enjoy the expansive pavers (front & back) with multiple seating areas and double sided fireplace, outdoor kitchen with built-in grill and elevated fire-pit to overlook gorgeous views of Four Peaks and the Mazatzal Mtns. The views can be enjoyed from the gourmet kitchen which boasts an oversized kitchen island and breakfast bar, walk in pantry, custom Alder cabinets and quartz sink.